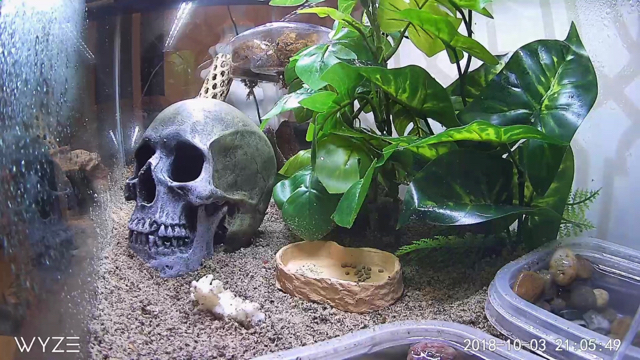 Based on an offshoot conversation in another thread, I’m curious and want to start a discussion about placing live feed video cameras in crabitats. It’s a fun idea and it looks like some have already done it. Please share best practices and setups here! I have a WyzeCam and the 360 Camera. I now prefer the 360 because it's easier, imo, to maneuver it and set it up. But I can't see crabbing without it. I get to see what works for them or doesn't. And of course all their antics. You can subscribe to my youtube channel. Cheryl Cochrane. Hermiesguardian wrote: I have a WyzeCam and the 360 Camera. I now prefer the 360 because it's easier, imo, to maneuver it and set it up. But I can't see crabbing without it. I get to see what works for them or doesn't. And of course all their antics. You can subscribe to my youtube channel. Cheryl Cochrane. Which brand/model 360 do you have? And subscribed. Where did you get it? ( sry I’m basically camera illiterate lol) and how do you have it mounted? I watched your videos and I love it! I always seem to freak mine out no matter how careful I am approaching and flicking on a tiny flashlight out of the way. ApePlanet wrote: Which brand/model 360 do you have? And subscribed. Got them on Amazon. I have them mounted in small plastic soap dish. Looking at the Wyze cam tonight and was wondering if anyone has had issues with humidity fogging up the lens? ApePlanet wrote: Looking at the Wyze cam tonight and was wondering if anyone has had issues with humidity fogging up the lens? I got a Wyze Cam today. Excited to see how it holds up. I’m still concerned about the moisture and humidity but for $25 it’s worth a shot. 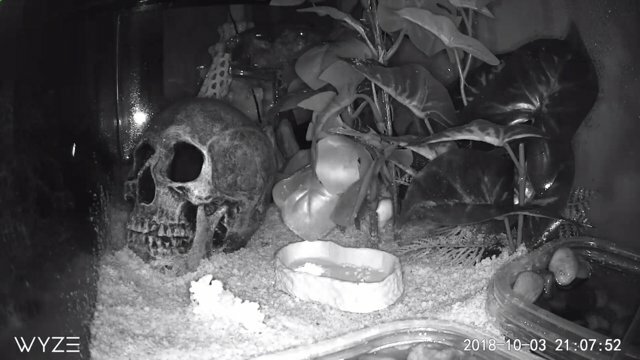 I LOVE MY CRABCAM! Now I can watch them without freaking them out. Here’s my biggest one chowing down.